Home is where the love is. Especially at Christmas! Commander Jonas Scott got through a tough deployment by thinking about his family home on Whidbey Island. The same home his deceased stepmother, Dottie, had promised him. His Navy homecoming turns sour when he discovers that Dottie left his house to a stranger named Serena Delgado…. Serena, an Army widow with a young son, is fixing up her house. 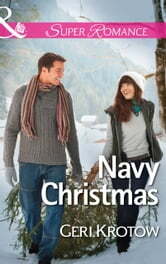 But as Christmas approaches and she gets to know Jonas, Dottie's plan becomes clear. It wasn't about fixing up the house, it was about fixing up Serena and Jonas!